Before and after pictures are telling disturbing signs of the prevalence of major look overhauls. 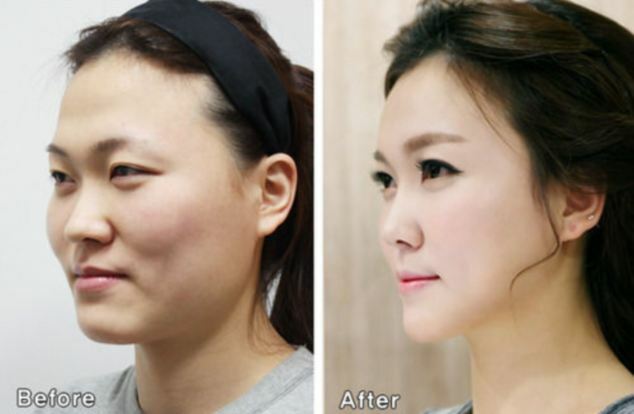 In an increasing bid to affect Western physical features an increasing number of South Koreans (as well their neighboring counterparts in China and Japan) are going under the knife and employing complete plastic surgery packages that are leaving official perplexed as to the real identity of travelers. Which is to say plastic surgeons have become so good at their craft disbelief reigns when it comes to telling before and after pictures of patients. The rise of South Korea’s flower boys who outspend on cosmetics than all other men in the world. 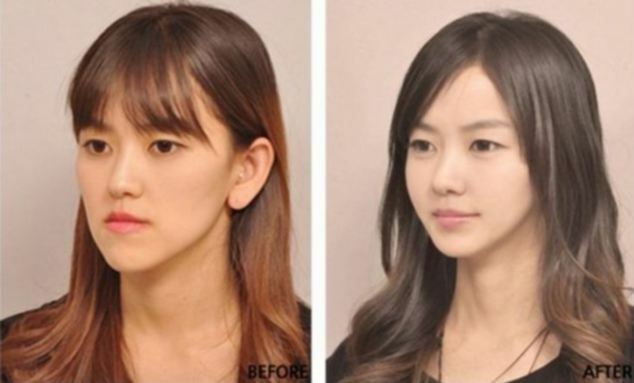 In a recent feature via kotaku, the outlet surveys the degree of plastic surgery that many South Koreans are increasingly pursuing to look more like their pop idols and of course Western features, considered the more preferable standard of beauty. According to Korean sites Onboa and Munhwa (via tipster Sang), some Korean hospitals are now issuing a “plastic surgery certificate” at the request of overseas visitors. Customs officials, of course, are strict about making sure people match the mugs in their passports. These certificates can supposedly help make clearing immigration go smoother so officials don’t have to call hospitals to confirm procedures. Where did her chin go? So hazardous has it become arriving in South Korea to have plastic surgery that officials are now being forced to track patients passport number, their length of stay, the name and location of the hospital where they will have their new look performed along with the hospital’s official seal which travelers show to immigration officials on their return trip home. 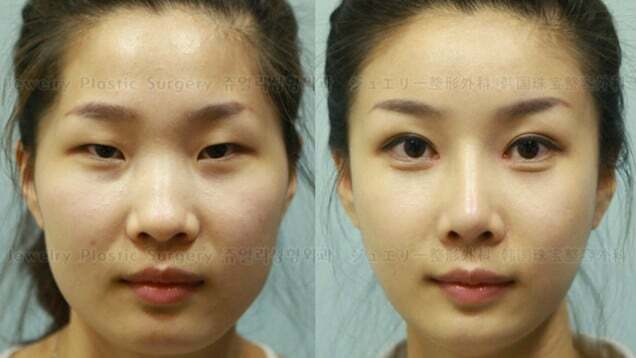 Corroborating that trend is a report via China Daily where travelers after visiting South Korea for plastic surgery procedures were noted to have bigger eyes, higher noses and slimmer chins than were shown on their passports. Naturally confounding officials. Even eyelids are upturned to affect a more ‘Western look’ that is currently in vogue. As the region goes gunho on a mission to appropriate more Western looks (which in and of itself is creepy and disturbing and says a lot about how the regions feel about their looks) The Korea Times came out with a report telling how the increase in Chinese medical tourism was also a result of a lack of trust with Chinese doctors. According to website Onbao, the number of medical tourists that came to South Korea in 2011 was 2,545 people. Last year, that number increased to 25,176 visitors. 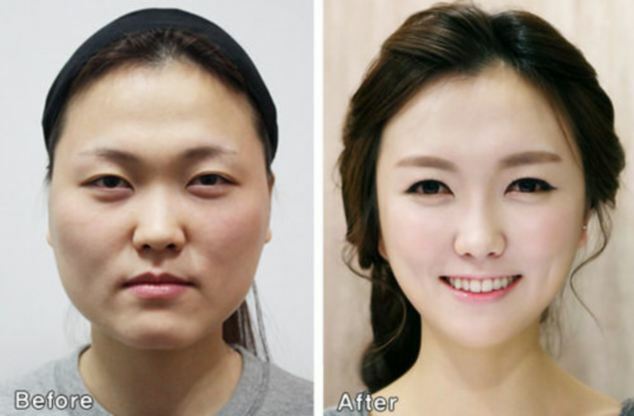 So prevalent has the trend towards plastic surgery become, South Korea now boasts the world’s highest per capita use of plastic surgery as now one in every 77 people in South Korea now goes under the knife or needle in a bid to improve their looks. The question of course one ought to ask is why and how did this phenomenon become the must have do? 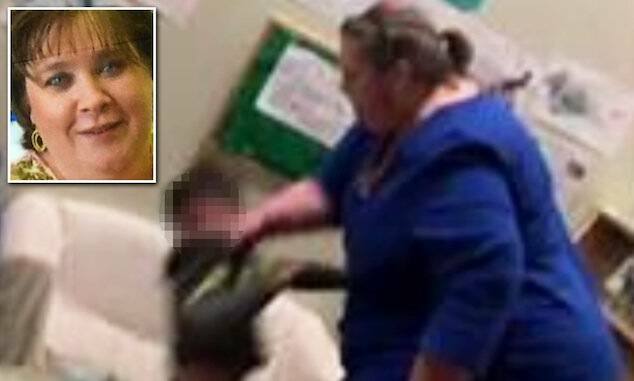 Would you be able to identify this individual as the same person as they sought to go through custom controls? I think the solution obviously lies in genocide. Start killing the asian looking people and get the westerners to breed more. Send the money that would have been spent on surgery to impoverished nations. There.. two problems solved!